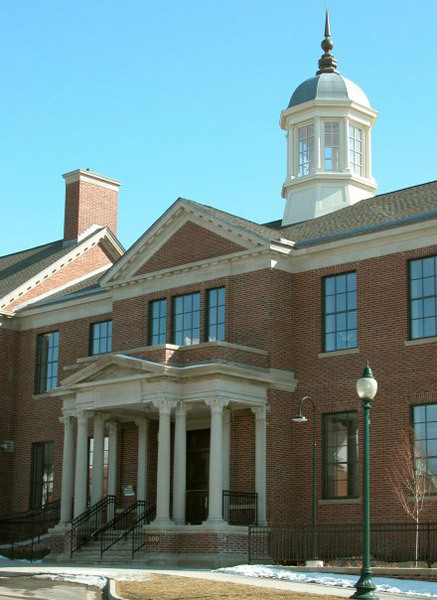 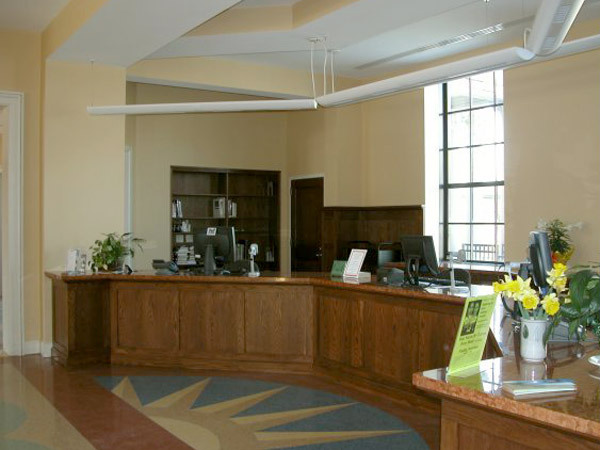 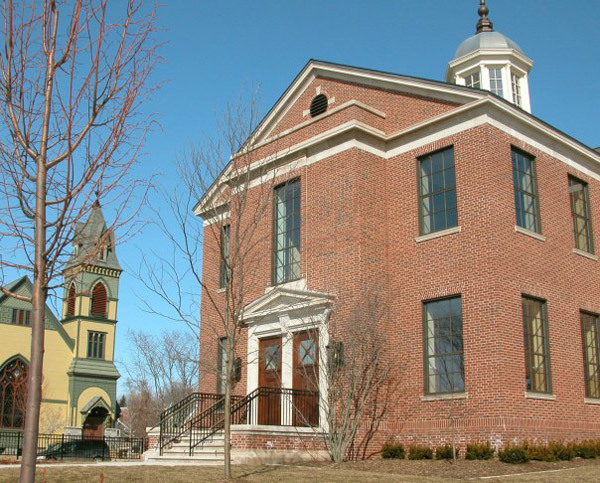 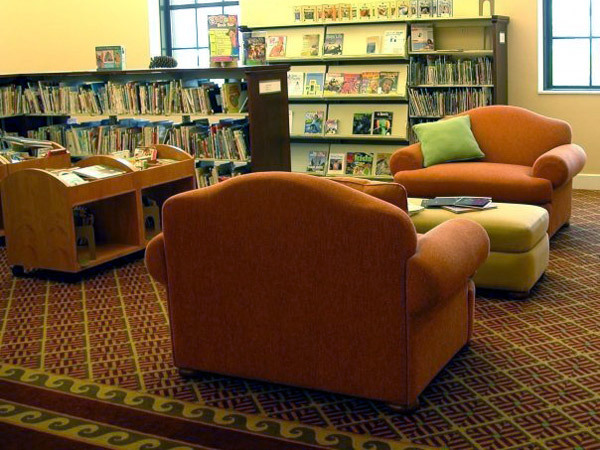 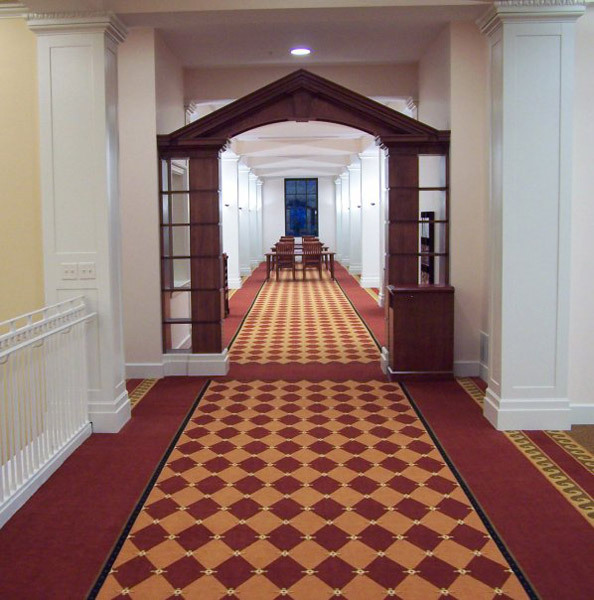 The Petoskey District Library consists of our new building, which opened on November 22, 2004 and the original Carnegie building, which opened in November of 1909. 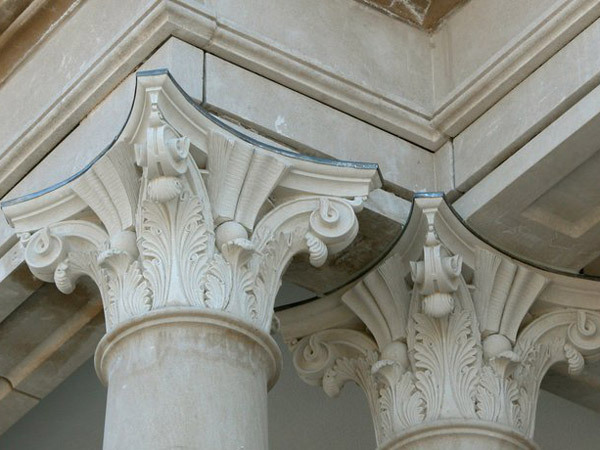 Six Corinthian columns, open books embedded in their Florentine Renaissance capitals, flank the stately entry. 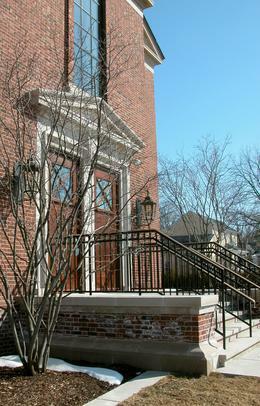 The Waukazoo Street end of the new building is flanked by two Serviceberry trees. 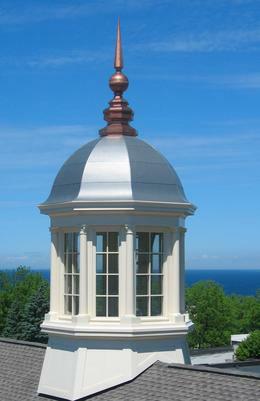 Among the other plantings on the grounds are Greenspire lindens, Nearly Wild roses, Green Velvet boxwood and burning bush. 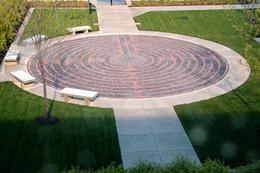 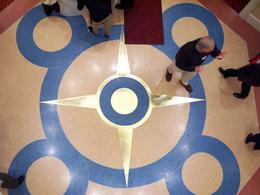 The Petoskey Community Labyrinth is located on the grounds of the new library building. 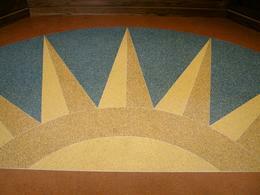 Thirty-five-feet in diameter, it is of the Medieval, 11 circuit “Breamore” design. 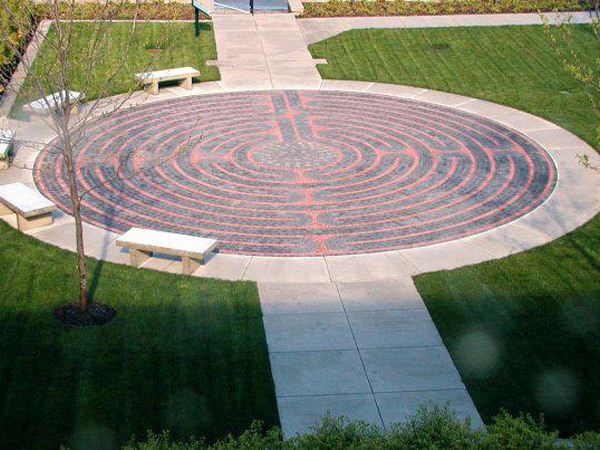 It was constructed by The Labyrinth Company of charcoal and red paver brick. 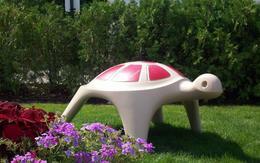 One of Jim Miller-Melberg’s play sculptures, this turtle was designed in 1960 and is still being manufactured today. 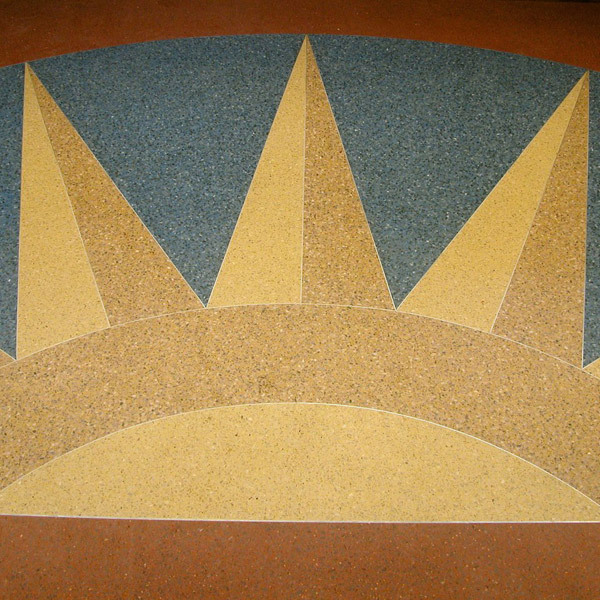 It was donated to the Crooked Tree Arts Center by Wausau Tile Company, and is being displayed in the main library’s courtyard. 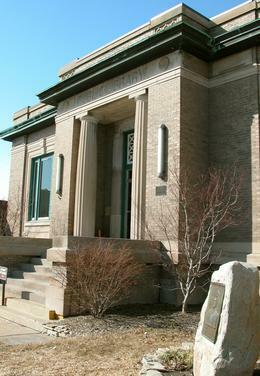 The original Carnegie building, across Mitchell Street from the new library, was opened in November of 1909. 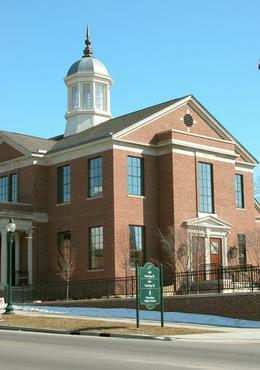 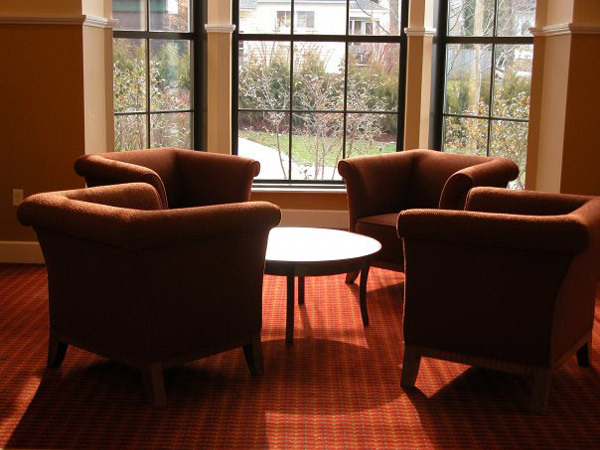 It was closed with the move to the new building for renovation and repopened in September 2005, as community meeting room space. 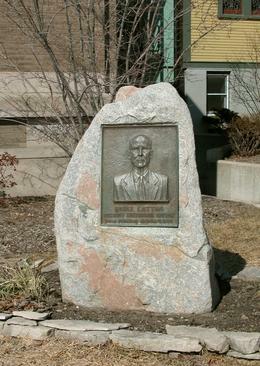 Bruce Catton, a Pulitzer Prize winning historian and author who was born in Petoskey in 1899, is memoralized with this plaque created by another renowned Petoskey resident, Stanley Kellogg. 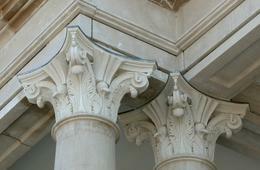 It is located on the grounds of the Carnegie building at 451 East Mitchell Street.